If you’re in the market for HVAC installation services in Central Virginia, look no further than Shogun Services. Whether you’re moving into a new home and need help picking out the perfect unit, or your old system is giving you trouble, you can trust us to get the job done. We’ll walk you through the HVAC installation process and make sure you make the right choice for your home or business in Central Virginia. If we’re replacing your old furnace or heating system, we’ll make sure to get it removed and make sure the area is clear and free from any obstructions to give room for the new unit. We will use the existing piping and ductwork and make sure it is properly attached and fastened to ensure peak performance. Finally, we’ll run a complete diagnostics test on your unit to make sure it is prepared for all of the weather situations Central Virginia can throw at you. Shogun Services can install any brand, make, or model of heating unit that you prefer. 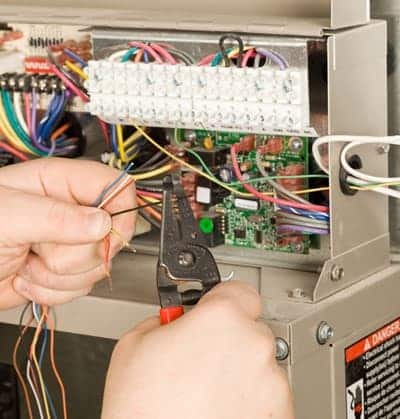 We can install both electric and gas units, and work with you directly to figure out the best solution for your home or business. Installing a new HVAC system has many advantages. Most newer models will give you much better energy efficiency and will save you money on your heating bill. Our expert technicians will go through the benefits of each system with you, and give you only the best options to choose the right system for your home. Whether it is a complex heating system repair or just some routine maintenance to make sure you’re prepared for Central Virginia winters, Shogun Services will be there to answer the call. Remember, the Shogun Services team is available 24/7 for any emergency repair.